Owning a car can become as expensive as owning a house especially when you’re looking after on a top of the line model from a famous brand. It is always a better and practical idea when deciding on purchasing your own car. Yes of course it can be really doubtful choosing a used car over a brand new one since you don’t know the history of the car. Also you would always consider the engine condition if it’s going to drop you right after closing the deal. But all these fears will easily turn into fascination if you learn how to become a smart when buying used car. In order to get a wise buy on used cars, you must be responsible enough on buying the car model that you have decided to purchase. First and foremost decide on the type of car you want to buy. If you know what car you really want it will be easier for you to conduct a research. The internet offers a lot of website that deals with used car buying as well as there is magazines that contain details you might need with your used car shopping. The said resources can provide important information regarding the car model of the used car you would want to buy like the model, the features, retail value as well as the trade in value and so much more. The most important factor that can help you decide on the used car you will have is of course your budget. Even if you wanted a specific model with great features but it doesn’t fit in your budget you wouldn’t be able to get the car. Set a specific budget that will enable you to get a reliable used car. As you tend to lower down your budget the chance of getting older car gets higher. So it is better to strictly put a budget that will allow you to own the car that will provide safety and reliability. The safety feature of a certain vehicle always comes as the most critical aspect every buyer is looking for. Buying a 3 year old car is a wise buy than getting a five year older. It is always a buyer’s responsibility to conduct an inspection before closing the deal. Check the physical and mechanical aspect of the car to make sure that you’re paying for the right one. The current year is seen to be the perfect year for used car to sell like hot cakes in the market. An economy which gets better will provide people better job opportunities and giving people the capability to acquire their own transportation means. Buying used car is the perfect option for people with low cost budget but needs to get their own vehicle for fast, convenient and comfortable transportation. Purchasing a used car can become confusing for those who are not well inclined with the process. There are various things to consider and just the thought of these things can become tiring. Here are some pointers to make your used car buying easy. Cars structure – Examine the car that you consider to purchase. Check for the cars structure and make sure that the vehicle is level on the ground. Doing this will allow you to examine the tires and if there is anything floppy in the car. The tires must be worn uniformly. Check for bad alignment as it can be a cause of worn steering. A spare tire must also be examined to see if it is a full spare. Physical check – Make sure to check the current painting condition of the car that you want to buy. Be an observant of rust spots, scratches and dents. Look at all the edges of the car to see if there are any part that needs repaint. Visit the trunk and look for any hole or cracks which can be a good entry for water. Never buy a damaged car which is welded on either side. Also inspect the exhaust system and check for any under body or hidden rust. Make sure to run a thorough checking on the hoses belts of the car. They should not have cracks and remain firm to ensure that it is excellently functioning. Inspect from the inside of the car – Get inside the car and visit the seats and check for upholstery damage. Make sure not to overlook a single rips or stain or any damage. Turn on the air conditioning system to see if it is functioning well. Get the mileage of the car because it will determine the age of the car. Care to test the lights and all the typical functions of the car if they’re working well. For the final step, test drive the car before making any final decision. This is the very best way to test the condition of the car. 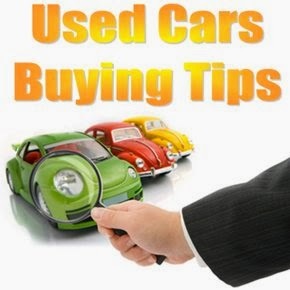 There can be more lists regarding the things you need to know on buying used car. Another bestseller from JZ Motors, Victoria’s RACV green light approved car dealer, is the Nissan Navara D22, 2008 edition (2009 and 2010 editions are also available). Offering both dual cab and single cab options, along with the new and powerful turbo-diesel engine, this line-up has become very popular among those who seek used trucks packed with awesome power and versatility. The Navara packs a YD25 2.5-litre turbo-diesel engine, which boasts a maximum power output of 98kW at 3600rpm and 304Nm of torque. Match that performance with a five-speed manual transmission and you get extreme versatility in both on- and off-road conditions. The electronically controlled high-pressure fuel injection pump used in the fuel injection system of the 2.5-litre diesel offers better efficiency, resulting in greater output, lower emissions and a quieter vehicle. You’re definitely in for a smooth ride when driving the Navara with its reduced vibration and harshness. For better fuel economy, the Navara sports a 16-valve, double overhead cam YD diesel that features second-generation common rail technology. For lower emissions, a variable nozzle turbocharger does the job while it also delivers greater power, working in synergy with the new balancer system for better refinement. The Nissan Navara is notable for its sharp responses both for off-road and on-road driving. Thanks to the new turbocharger with a variable nozzle turbine (VNT). Also, the new diesel engine sports twin counter rotating balancer shafts within the engine. This design results in lesser vibrations. Plus, the use of a single-chain camshaft drive helps ensure high levels of refinement. Overall, we’re very pleased with the Navara’s performance and reliability. Other features include power steering, single in-dash CD player, air conditioning, dual front airbags and anti-lock brakes, which are all standards for the Navara. We at JZ Motors offer only RACV tested used sedans, SUVs, 4WDs and Commercials. We guarantee that all our used cars for sale have passed rigorous testing and are not tied to any hidden financial encumbrances or written-off records. 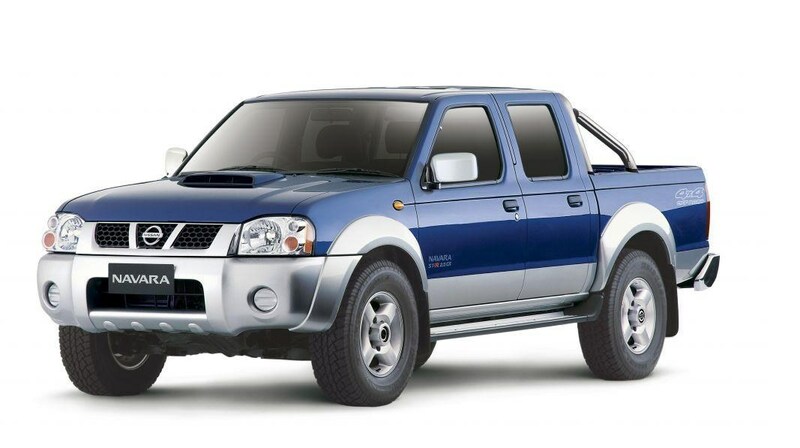 Call us to get your second-hand Nissan Navara D22 (2008-2010) today! Spanning four generations of impressive evolution and formidable position in the automotive world, the Triton has become one of Mitsubishi’s most successful lines of pickup trucks since the introduction of its predecessors in late 1970s. Forget about the older ones and let’s fast-forward to Mitsubishi Triton Used Pick-Up Trucks, which recently made us happy as our bestselling pickup trucks among other used cars in Melbourne. Let’s take a closer look at this monster and discover why our customers are very happy with the second hand Mitsubishi Triton. This fourth-generation Triton, designed to compete directly with that of Toyota’s and Nissan’s own pickup trucks, seems to be doing very well in the competition. Thanks to its powerful engines and cool external and internal features, the details of which we shall be highlighting below. The 2009 Triton sports a 3.2-litre diesel engine that uses direct injection and an intercooled turbo, pumping out 120 kilowatts of power and 343Nm of torque. The impressive torque allows greater flexibility especially when driving in challenging conditions. Even at normal cruising speeds, the Triton feels comfy and gracious, only that the engines are a tad noisier than average. Other than that, the cabin feels smooth even at fast maneuvers. With the Triton, you have two transmission options: the 5-speed manual or the 4-speed automatic unit. But both deliver satisfactory performance. It all depends on your preference. And when it comes to fuel economy, this beast is unexpectedly has a very good rating of 9.9 liters per 100 kilometers. That’s good enough for a pickup truck of its rank in terms of power and performance. In addition, what we like much about the Mitsubishi Triton is the Super-Elect 4WD system, which features four driving modes that you can easily choose while driving, easily converting your truck from 2WD to 4WD when running at speeds up to 100 kilometers per hour. What can we say? Driving the Triton on and off road is simply one of the smoothest experiences we’ve had. Handling the pickup truck is also a breeze when driving at fast speeds. The only downside we’ve noticed is a long steering ratio, which means taking U-turns or making complex parking would require more when turns. But overall, on the road grip especially in wet conditions is acceptable enough. When it comes to overall aesthetics, the 2009 Mitsubishi Triton comes in a futuristic style, with 100% masculine curves that deviate far away from the rather boxy look of the first, second and third generation Tritons. Even the square try doesn’t look sharp because of their rounded edges. The metal side steps, contrasting wheel arcs, grimacing face and a large bumper add up to the tough look and feel of the Triton. At the back of the pickup truck is a rear bumper that sports a built-in step to provide ease of access to the rear tray, which when compared with that of other trucks, look a tad shorter but deep and wide enough to carry a payload of 1000 kilograms, maximum. 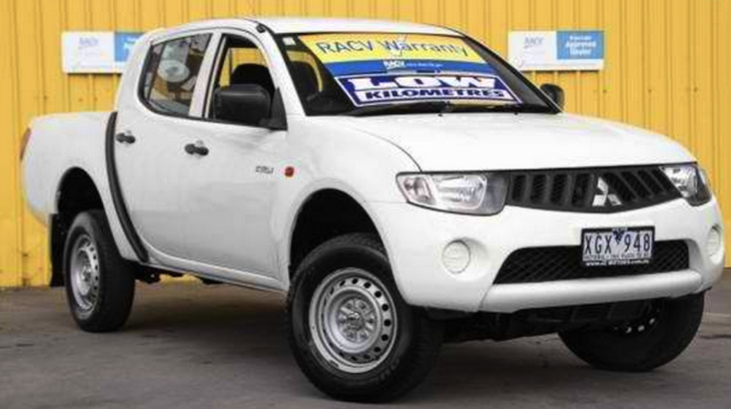 So, the overall external look of the 2009 Mitsubishi Triton is really something very attractive to our standards. Mitsubishi Triton’s round theme extends even to the interior cabin. From the attractive contours of the dashboard to the door inserts, they’re all finished with curvy edges that render a smooth look and feel. The onscreen interface can display a compass, as well as barometer and altimeter readings. This information may come in handy when driving in an off-road adventure. In other words, the interior cabin could serve as both serious professional and recreational purposes. One feature we found a bit outdated though is the stereo. We mentioned earlier the rather shorter rear tray that’s unique to the Triton. This may seem like a downside, but inside, at the rear seat section, you’ll see why: There is just more than enough legroom for your passengers. And that’s a plus point in terms of comfort especially during long trips. Other noteworthy components inside are the leather steering wheel and gear knobs, electric windows, powerful air-conditioning system, rear power windows and the dashboard computer. The 2009 Mitsubishi Triton also boasts significant improvements in safety standards, having a four-star ANCAP safety rating and also featuring added side and curtain airbags for the passengers. In all the 2009 Mitsubishi Triton’s flawless masculine internal style, spacious double cab, safety focused design and powerful diesel engine makes it one of the bestselling used pickup trucks this year. Our clients are just as happy with these second hand Tritons as those who purchase brand new ones. Of course, all our Mitsubishi Triton models are RACV tested, and you can be sure the one you buy still meets or even exceeds your expectations. Only the best from JZ Motors for you! If you wish to check our used Mitsubishi Triton pickup truck in Melbourne, call us or visit our showroom now while our lineup lasts.